2017 Deliveries have reached 35,185 Meals & Counting! To our surprise our program has grown 143% since last year, and a whopping 250% since it all started in 2015! We have delivered over 35,000 meals so far this year alone! Since are 100% volunteer based program everything we receive goes straight into purchasing the food to be delivered. We are seeing there is definitely a high demand for this program and we are working our hardest to keep up with it. 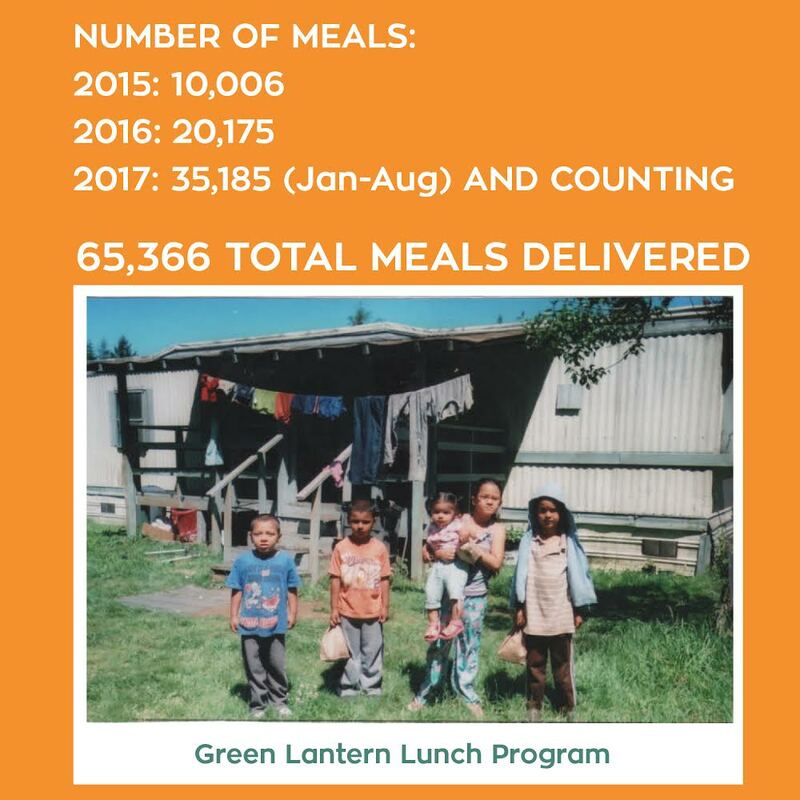 Since the program has started, just two years ago, Green Lantern Lunches has delivered 65,365 lunches. Our summer program is now over for the year, and we will take a week off to recoup and build up our supplies for the weekend backpack program. We will continue to work hard to keep our lantern lit, and the kids fit! Thank you so much for your continued support. We could not do it without you!